New York circa 1912. "Fifth Avenue at 42nd Street." At left, the East Coast outlet of California's Cawston Ostrich Farm. 5x7 inch glass negative. View full size. Submitted by WhiskyTango on Thu, 07/12/2018 - 11:08am. on the sign need hazardous duty pay. Submitted by BillyB on Thu, 07/12/2018 - 10:09am. The vehicle in the middle of the street heading away from the photographer appears to have a police officer and a Good Humor man in back. Any ideas as to what the vehicle would be used as? Paddy wagon, ambulance or ice cream truck? Submitted by VictrolaJazz on Thu, 07/12/2018 - 9:44am. 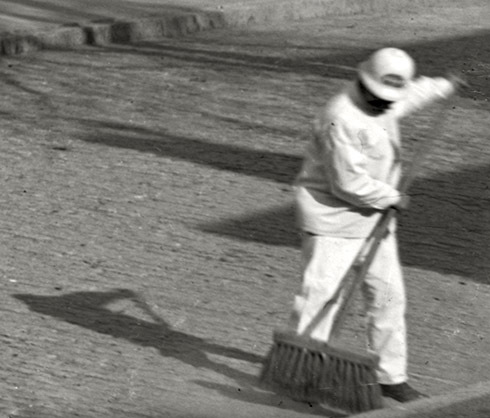 In this speed-corrected early movie with sound added of New York City in 1911, it's amazing how these first people in human history to have access to self-propelled vehicles seem to have so quickly adapted to them without benefit of any rules or traffic lights, both pedestrians and drivers--it's almost like we had some kind of hard-wired affinity for the advent of the automobile. Of course, skill sets in other areas no doubt helped. Submitted by captivated on Wed, 07/11/2018 - 11:11am. 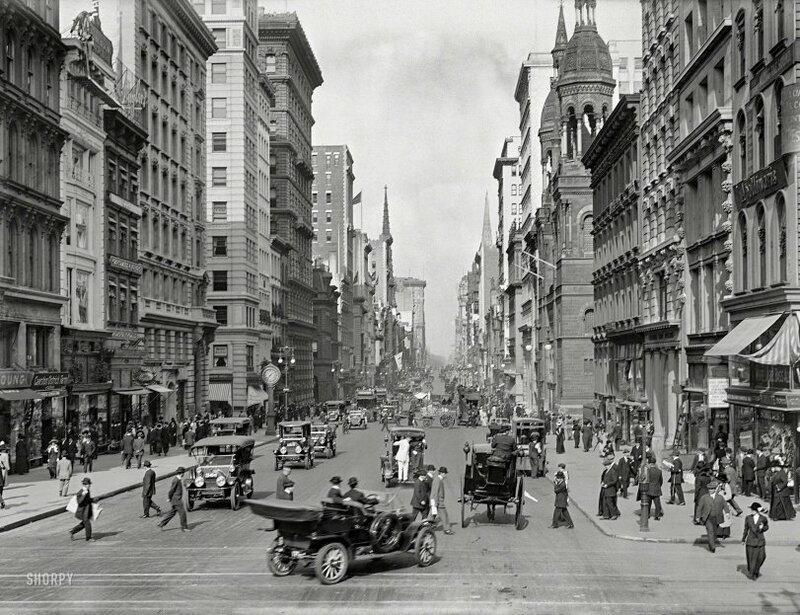 I wonder how many pedestrians were lost on the streets of New York in 1912? Street Clock at 522 Fifth Ave. Submitted by WMtraveler on Wed, 07/11/2018 - 10:42am. Submitted by pennsylvaniaproud on Wed, 07/11/2018 - 9:11am. As long as you like Black. Submitted by Minnesotaart on Wed, 07/11/2018 - 7:13am. I know we've always stayed to the right in the US when traveling down a road, but I wonder when the driving position within the vehicle shifted to the left side? All the drivers in the photo are sitting on the right hand side of their vehicles.